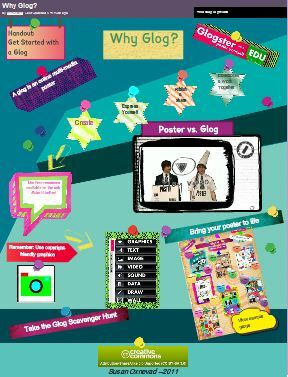 Glogster.edu is a cool tool for creating online multi-media posters that supports flexible learning paths. I created this glog to briefly introduce the concept of glogging to students. It includes a video that says it all, a glog of samples created by students and some simple directions to get you started. So glad this has a Creative Commons license. I will use it.